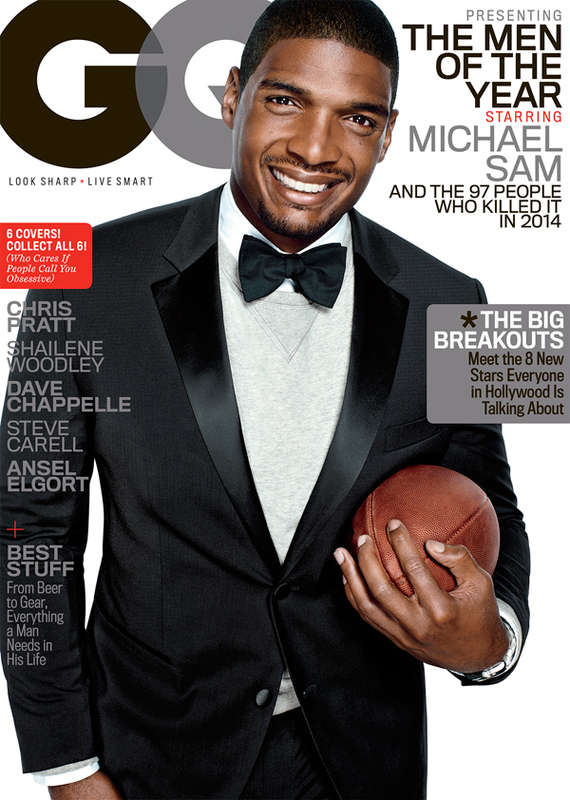 Michael Sam is featured on one of six covers for GQ's Men of the Year issue, the magazine said in a press release. Sam made history in May when he became the first openly gay player drafted into the NFL. The former Missouri standout -- who was named the SEC's co-defensive player of the year as a senior in 2013 after recording 48 tackles and 11.5 sacks​ -- revealed his sexuality in February, less than a month before the NFL combine. Sam tells GQ about how some of his family members were "ghosts" and describes his brothers as "evil people." The St. Louis Rams selected Sam in the seventh round of this year's draft but cut him in August. Sam later signed with the Dallas Cowboys' practice squad before being waived last month. Cowboys owner Jerry Jones commended Sam for his work ethic in explaining the team's decision to part ways with him. ESPN reported earlier this month that Sam has been in contact with a half-dozen teams. Sam also tells GQ how he would have preferred to disclose his sexuality a different way. The issue will be available nationally on Nov. 25. The individuals featured on the five other covers are Shailene Woodley, Steve Carell, Chris Pratt, Dave Chappelle and Ansel Elgort. The story on Sam can be read here.